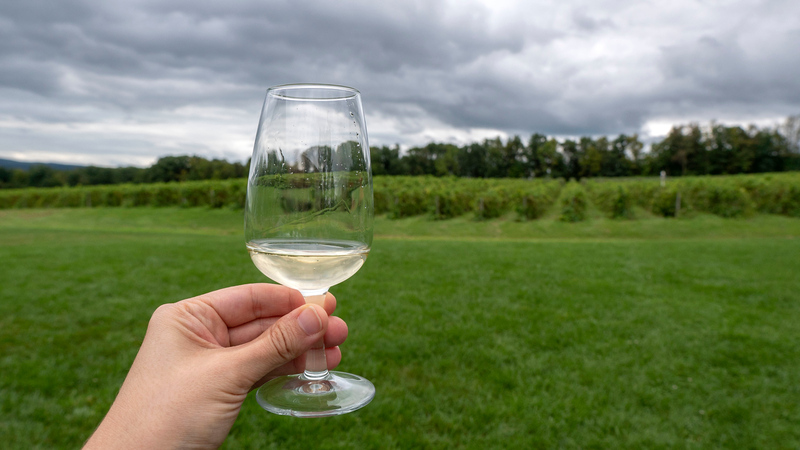 Did you know that you can find vegan wineries in the Finger Lakes? I’m not sure if you’ve heard, but the Finger Lakes region in New York State has more than 100 wineries. 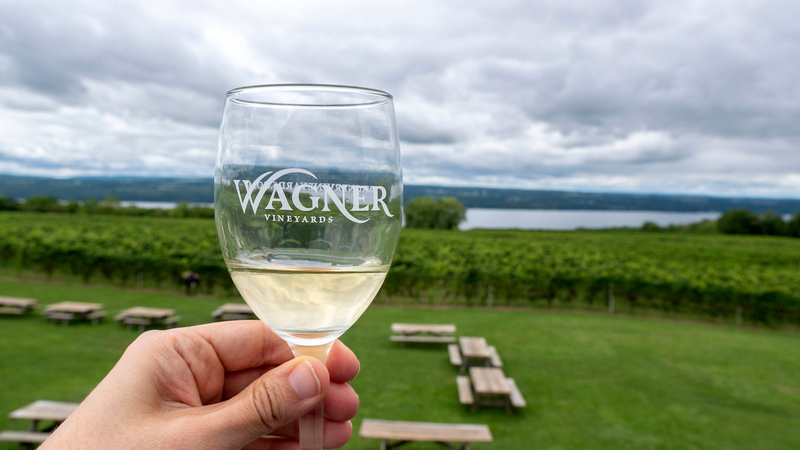 The climate of the Finger Lakes is most suited to producing aromatic white wines like Riesling and Gewurztraminer, as well as red wines suited to growing in cooler climates, like Cabernet Franc and Pinot Noir. The lakes create a special microclimate where breezes off the lakes help ripen the grapes in the summer months, whereas the lake protects the vines from extremely cold weather in the winter. 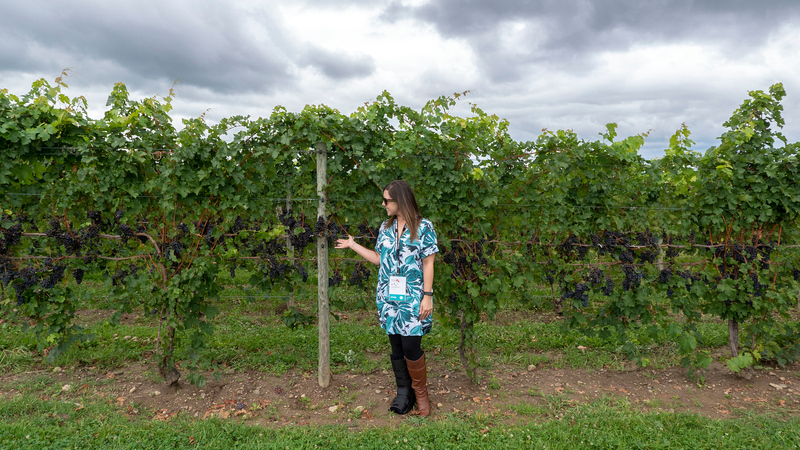 When I was in town for the TBEX travel blogging conference (which I’ve attended in Killarney, Ireland / Huntsville, Alabama / Fort Lauderdale, Florida in the past), I had the opportunity to take a full day wine tour around Seneca Lake, one of the Finger Lakes. 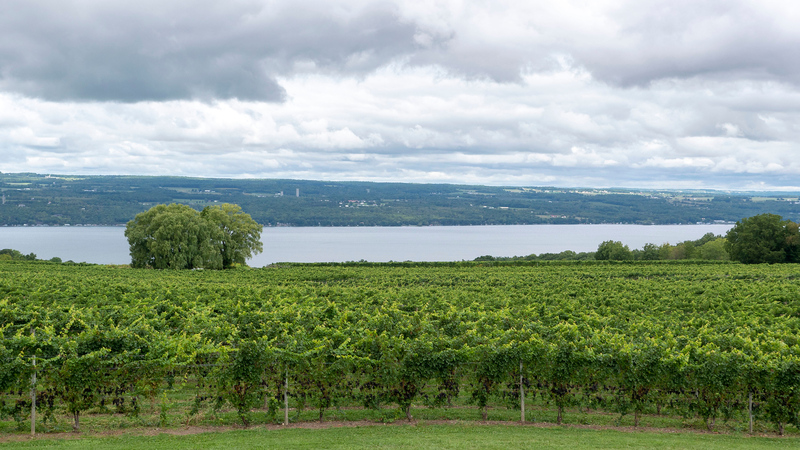 The Seneca Lake Wine Trail showcases over 30 wineries encircling the lake. I wasn’t sure if I would be able to find vegan wine in the Finger Lakes. Thankfully, many of them are vegan wineries or wineries with several vegan options. 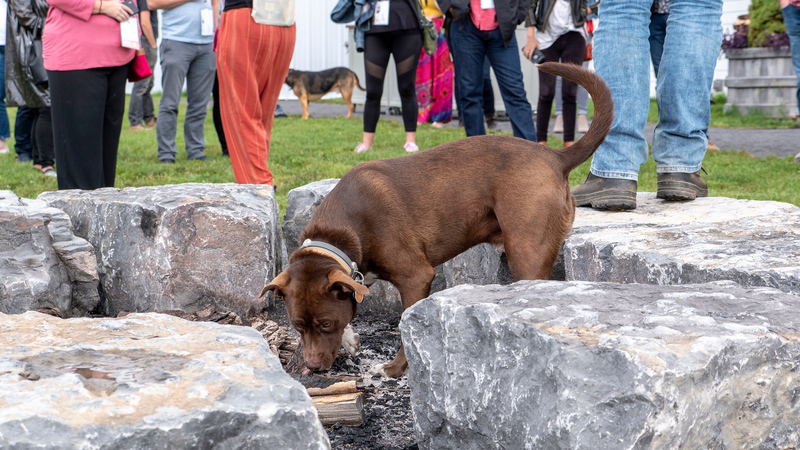 Here are the 10 best wineries on Seneca Lake to find vegan wine. What makes wine vegan / not vegan? Wine is made from grapes, which of course, are vegan. But, many winemakers aim for their wine to appear clear without any sediment. Therefore, wine goes through a clarifying process called “fining”. Traditional fining agents include casein (milk protein), albumin (egg whites), gelatin, and even fish bladder protein. Thankfully, there are other ways to clarify the wine without any animal products. Winemakers can use clay to get rid of unwanted proteins in the wine, and they can also use activated charcoal. My favourite website to discover vegan wineries (and breweries) is Barnivore. 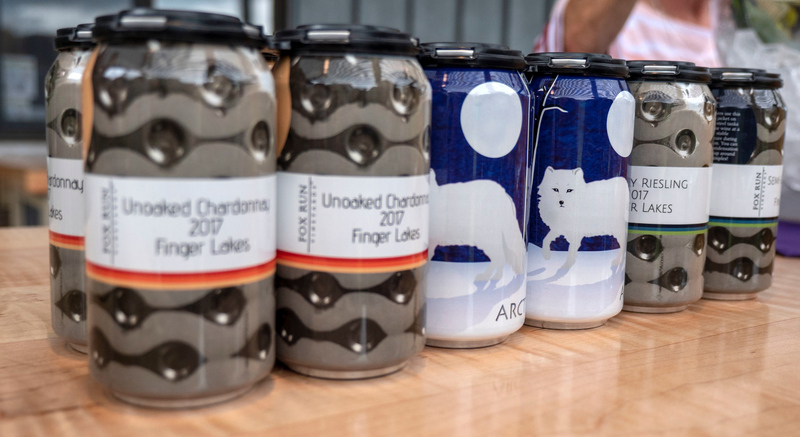 If you don’t see your favourite wine or beer on the list, you can contact the winemaker to ask them if they use animal ingredients to process their product. Learn more about how we paired local vegan wine from Prince Edward County, Ontario with local Toronto vegan cheeses! 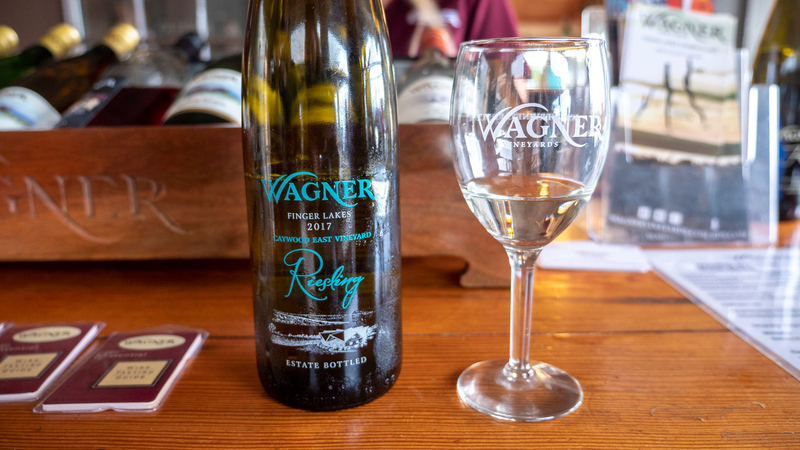 The first vineyard of the day we visited was Wagner Vineyards, a family owned and operated winery on 250 acres overlooking Seneca Lake. They are one of the oldest vineyards in the Finger Lakes with over 30 award winning wines. They specialize in Riesling and it’s absolutely delicious. 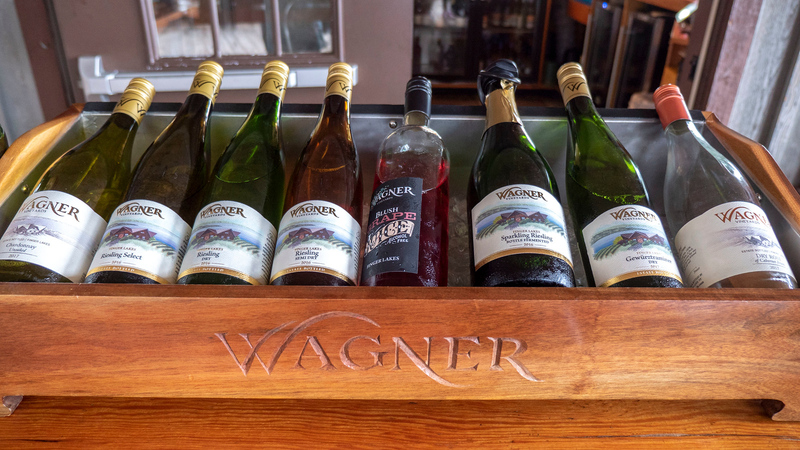 However, whether you prefer white, red, or sweet wines, Wagner Vineyards has the wine for you. Wagner Vineyards offers tours of the winery twice a day. 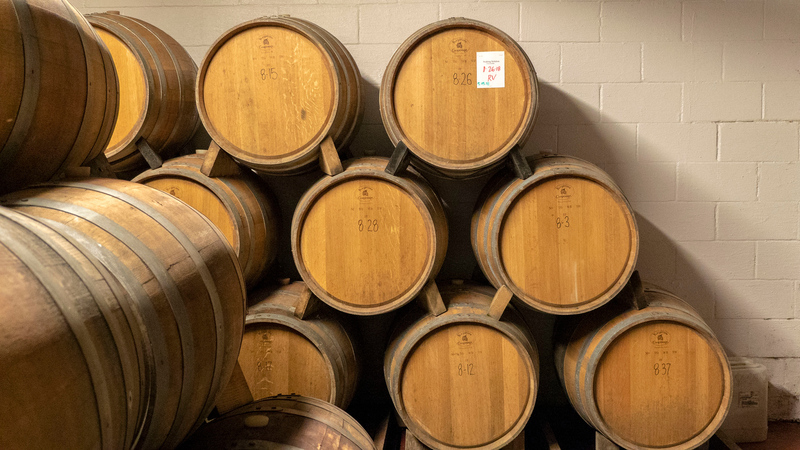 I had the opportunity to go behind the scenes to check out their barrel room, and I also walked by the vines themselves. However, my favourite aspect of the visit was sipping wine from their balcony, overlooking the beautiful lake. It doesn’t get much better than that! 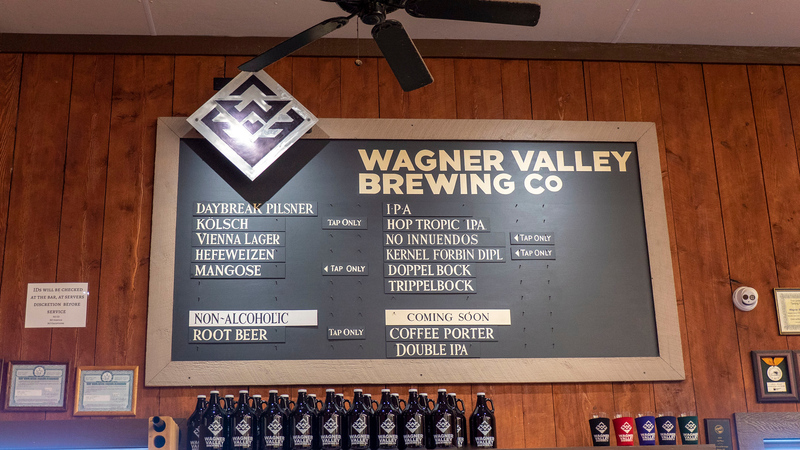 For all the beer lovers in the crowd, Wagner Vineyards also has their own craft brewery: Wagner Valley Brewing Co. If it’s available, you must try the “Mangose” if you love fruity, summery beers as it tastes just like mango. I also recommend trying the non-alcoholic root beer, as it’s one of the best I’ve ever had. Pictured with friends Gemma & JR of the travel blog, Off Track Travel. Prefer beer over wine? 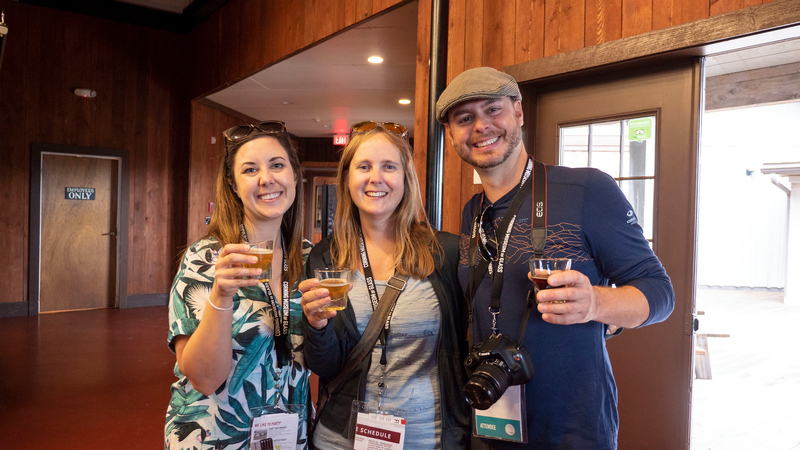 Here’s more information about the Finger Lakes Beer Trail! Three Brothers Wineries and Estates certainly has something for everyone. There are three wineries and a brewery all on the same site. 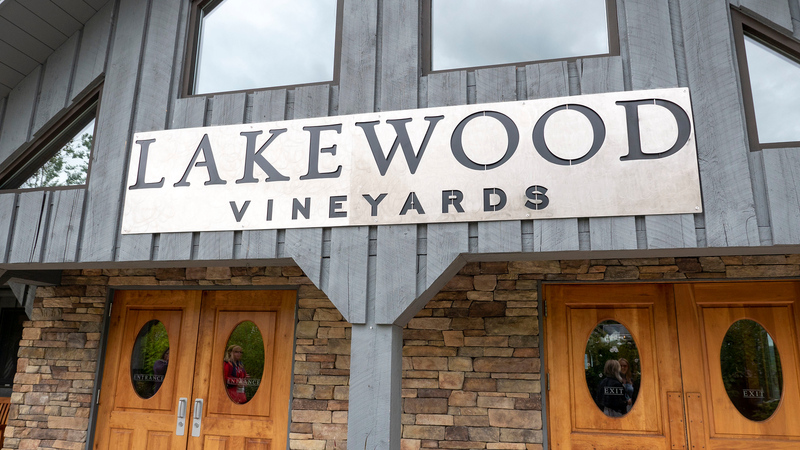 While I didn’t have the chance to visit the actual property itself (we sampled their wines at another vineyard), I’d love to go there on my next trip to the Finger Lakes. There’s the Stony Lonesome Wine Cellars (try their austere dry Riesling), Passion Feet Vineyard and Wine Barn (did someone say wine slushie? ), and the Bagg Dare Wine Company (in its bayou tasting room). 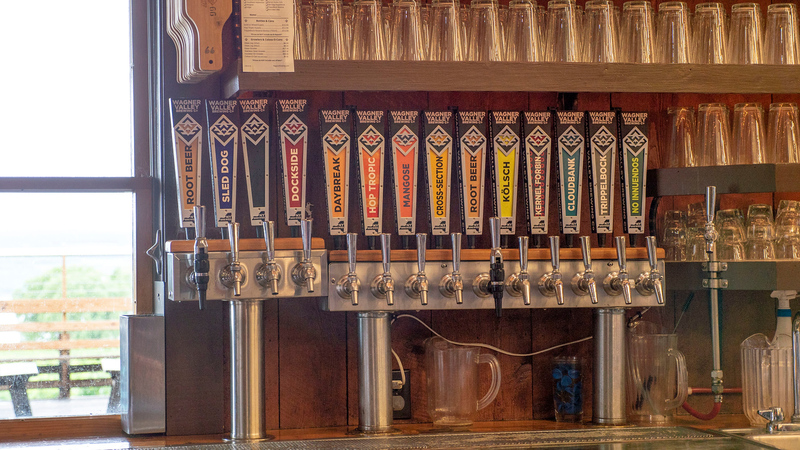 Futhermore, there’s also the War Horse Brewing Company on site, as well as the Iron Heart Coffee Company. A property that serves wine, beer, and coffee sounds too dreamy to be true! The only wines on site that aren’t vegan are the Gewurztraminer and the “Poor Limp Richards” by Bagg Dare. Otherwise…drink up! 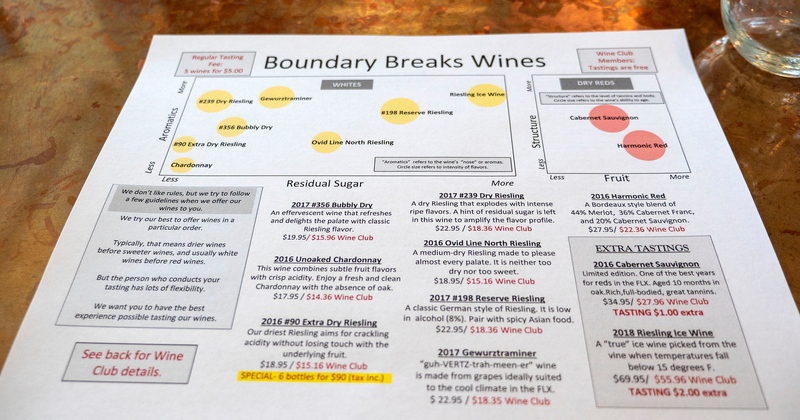 I was grateful enough to sample several wines in the tasting room at Boundary Breaks Vineyard. Nestled on yet another spectacular property (do you see a theme here? 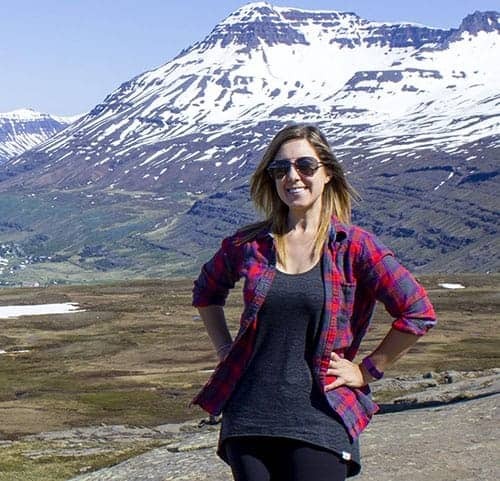 ), I felt refreshed both by the breeze off the lake and many of the wines I tried. I thoroughly enjoyed their award winning #239 Dry Riesling. As I’m a huge fan of Rieslings in general, I knew I was in the right place as I sampled several of them here. 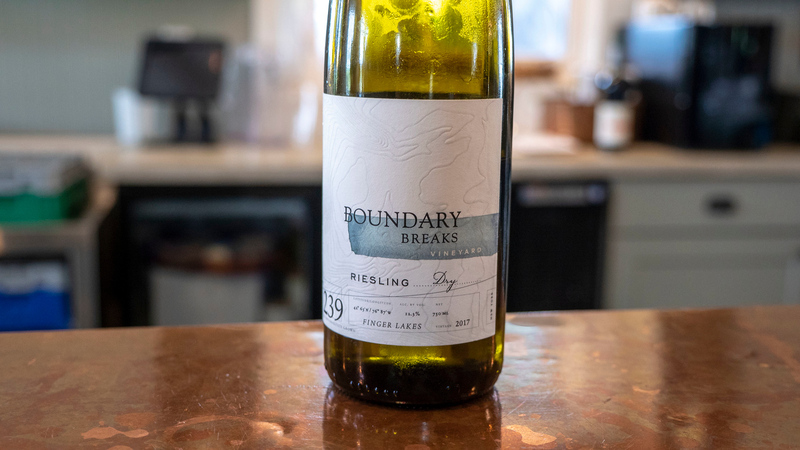 Boundary Breaks is also proud to be one of the entirely vegan wineries of the region and advertises itself as such. You can find their wine carried regularly on VeganWines.com. 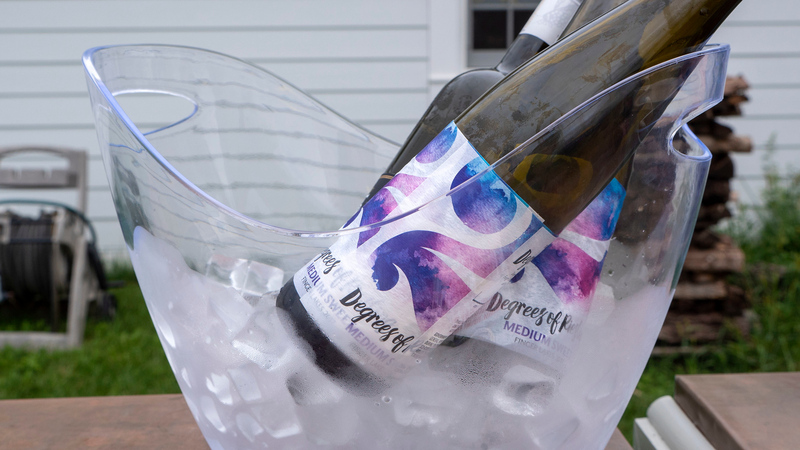 Hands down, this is one of the best vegan wineries in the Finger Lakes. 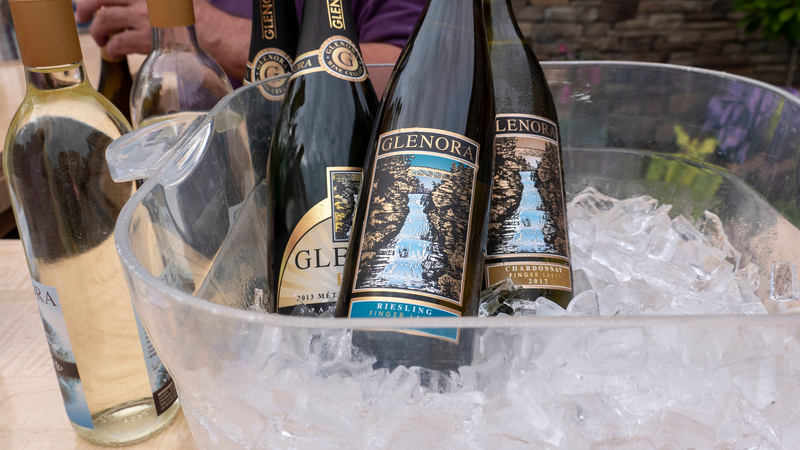 Glenora Wine Cellars is a stunning winery resort where you can sample their wine and also spend the night in their 30-room inn. 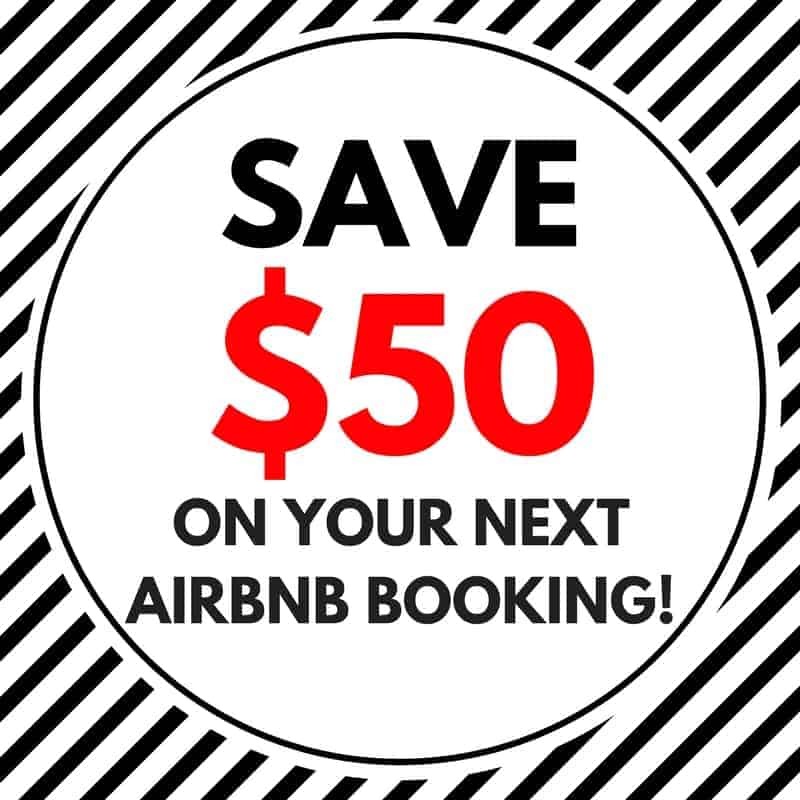 Why not take a wine-cation? All of their wine is vegan-friendly and I sampled their 2017 Chardonnay, 2017 Riesling, and 2016 Cabernet Sauvignon. They’re also known for their premium sparkling whites, as well as innovative blends and fruit wines. 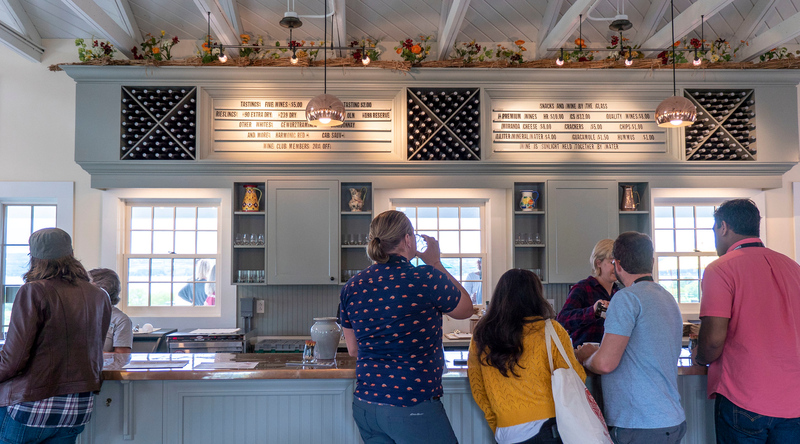 Fox Run Vineyards is another one to add to the growing list of vegan wineries here. You can take comprehensive tours of their vineyard and winemaking facility or attend one of their special events. They host an annual garlic festival, connecting local farmers and artisans around the Finger Lakes. Indulge in delicious food made from garlic and wash it all down with a glass of fragrant wine. It’s the first full weekend in August every year. Fox Run also cans their wine, which I’d never seen before. How cool is that? 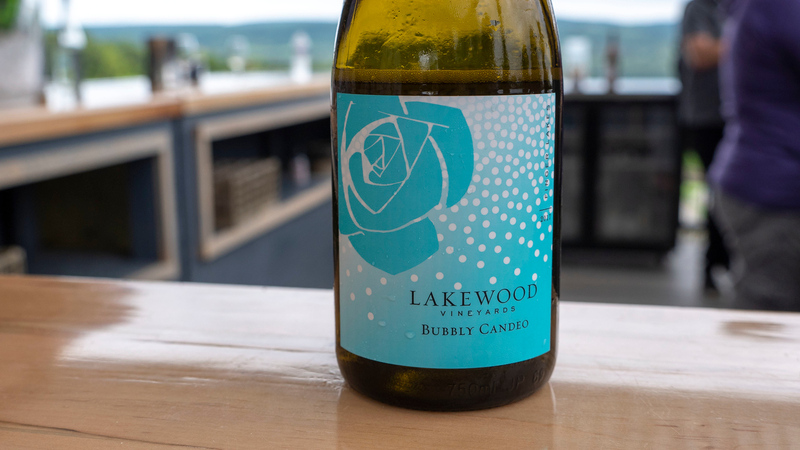 Lakewood Vineyards won Riesling Winery of the Year at the New York International Wine Competition in 2018. The family has grown grapes through four generations, and their love for wine making shines through. Mostly all of their wine is vegan, with the exception of their Dry Riesling and Lakewood Meads. I sampled the Pinot Gris, with aromas of ripe pear and honeysuckle, and it was very refreshing and fruity. The Bubbly Candeo is ideal for champagne and beer lovers alike, as it’s perfectly refreshing on a hot, summer day. 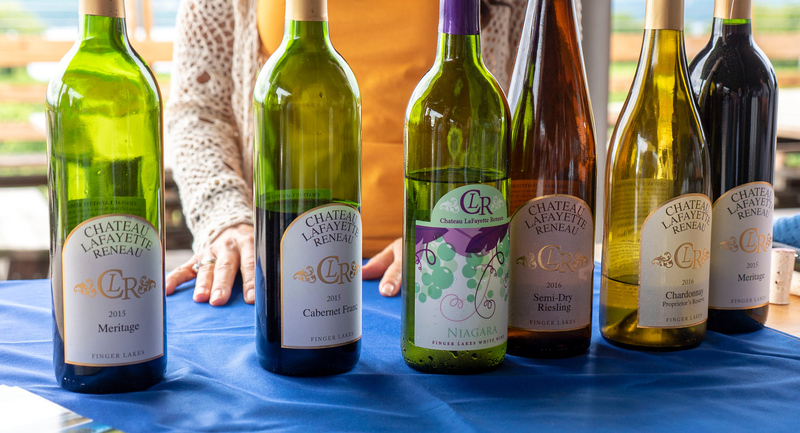 Chateau LaFayette Reneau is yet another on the massive list of vegan wineries on the Seneca Lake Wine Trail, which showcases some of the best wineries in the Finger Lakes. They’ve produced estate grown wine for over 30 years on an 110 acre vineyard. They are an award winning winery, claiming three Governor’s Cup Awards and five Jefferson Cups. Savour their wine in their restored historic barn with beautiful views of Seneca Lake. Castel Grisch is a smaller winery a little off the beaten path, but don’t let that deter you! Since 1983, they’ve created delicious wine from the best grapes on their 40 acre property. From bubbly to ice wine, reds and whites, and pretty much you name it, there’s something for every taste. You can do a flight of dry wine, sweet wine, or a combination of reds and whites. Don’t miss Castel Grisch, one of my favourite vegan wineries along Seneca Lake. Ventosa Vineyards offers a taste of Tuscany in the Finger Lakes. They specialize in Italian varieties, including 100% hand picked estate vinifera grapes. Ventosa is known mostly for their dry red wines, so be sure to head there if you’re a fan. Ventosa Vineyards does not use any animal products in the production of their wines, making it 100% vegan-friendly. As verified by the winemaker, they use potassium bitartrate and bentonite clay for fining. 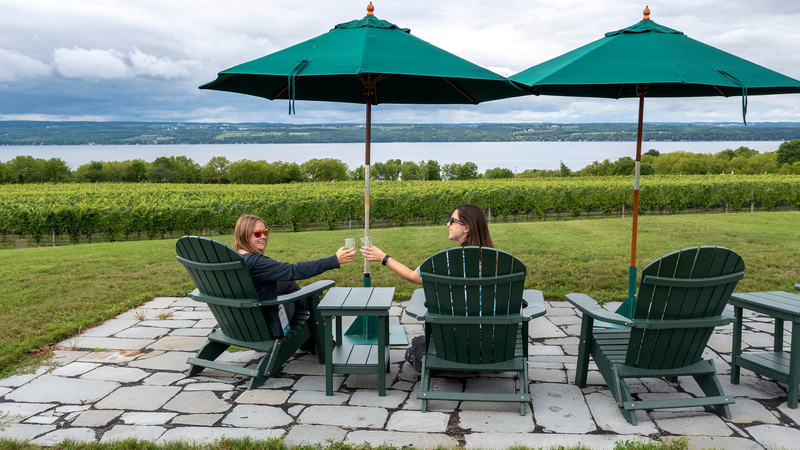 Atwater Estate Vineyards pairs their delightful wines with gorgeous scenery of Seneca Lake. You’ll find a little bit of everything here: reds, whites, bubbly, dessert wine, and hybrid wines. They have an 80 acre farm just north of Watkins Glen, and they’ve gained a reputation as one of the most exciting newer wineries in the region. 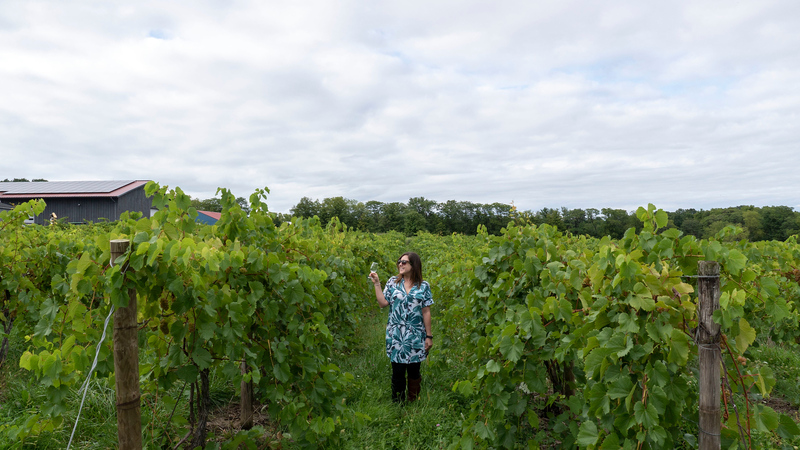 Looking to learn more about wine making in the Finger Lakes? 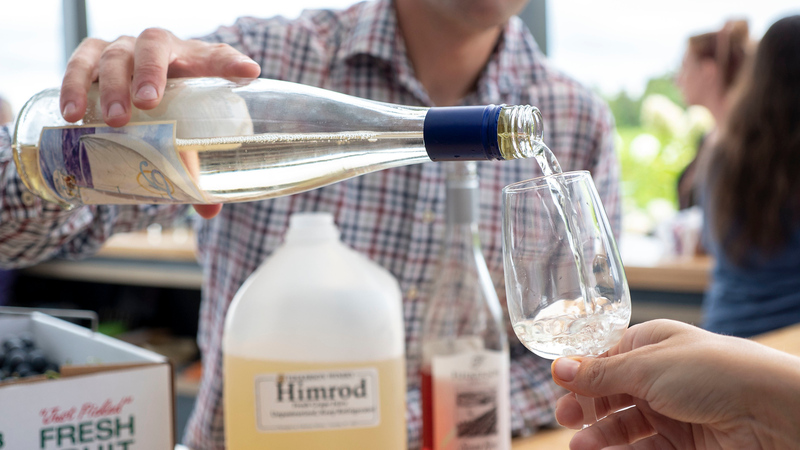 Check out the book, Summer in a Glass: The Coming of Age of Winemaking in the Finger Lakes. Here are some other vegan wineries around Seneca Lake that I didn’t have the opportunity to taste. 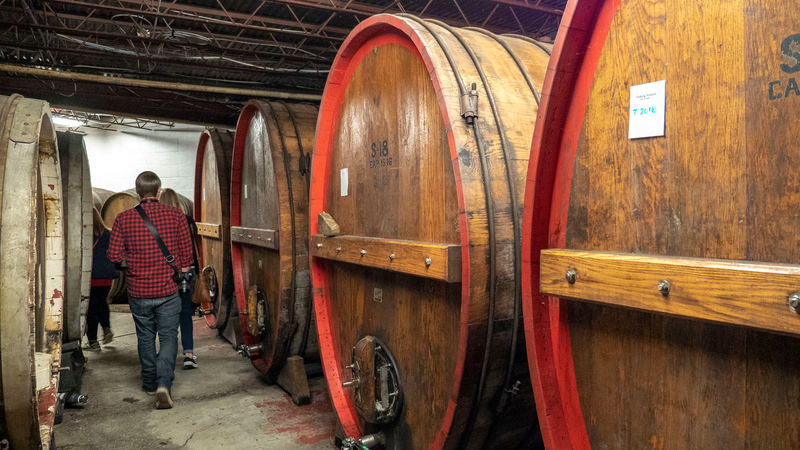 We are definitely spoiled for choices on any Seneca Lake wine tours. I’ll have to visit these ones next time! 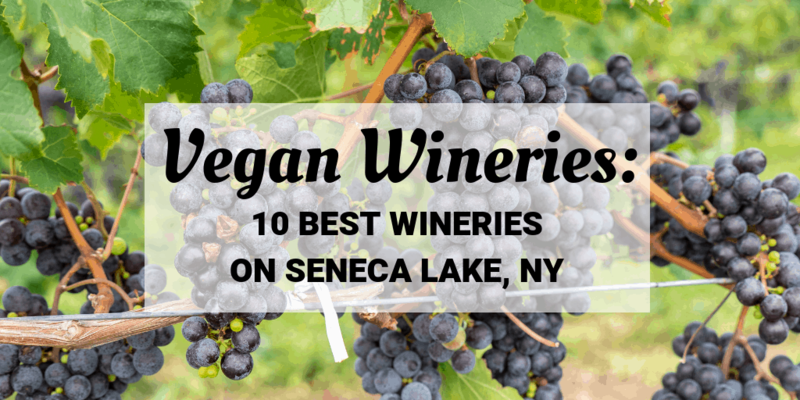 If you’re aware of any other wineries on Seneca Lake with vegan wine, please let me know in the comments section of this blog post and I’ll happily add it to this list. 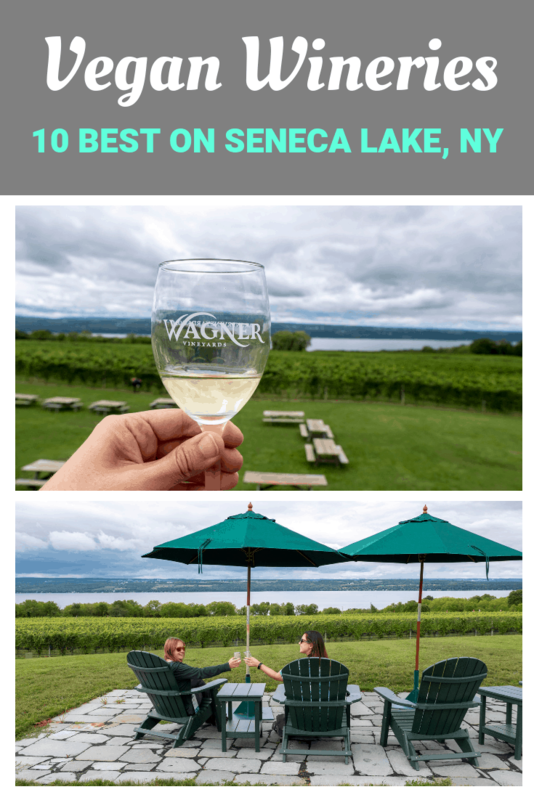 Take a look at my entire travel photo album of my Seneca Lake wine tour. Thank you so much to TBEX and Seneca Lakes Wine Trail for hosting my wine tour. As always, all opinions are entirely my own. 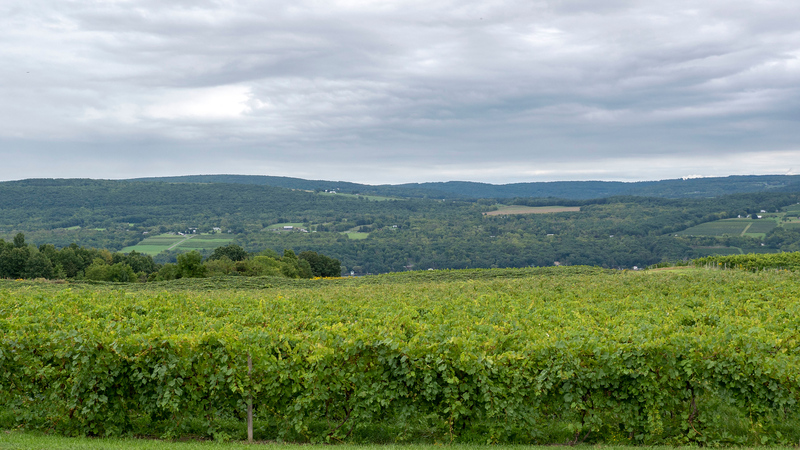 Have you explored the Finger Lakes Wine Region yet? I have wine all around the world and will freely admit that I’ve never had vegan wine. Would certainly give it a try to compare it to non-vegan wine. Next stop Finger Lakes. You’ve probably had it and didn’t even know it! It usually isn’t advertised as such, and it really depends on the fining methods that the winemaker uses. Most of these wineries don’t advertise that they have vegan wines, but I did a little bit of research to find out ahead of time for my own sake and have shared it with those who are also interested! :) Finger Lakes wine is amazing – you’ve gotta try it! How interesting. I never knew that gelatin or milk protein could be added to wine. Nevertheless, the Finger Lakes Wine Region looks fantastic and I’d love to visit someday.